UBO is a wedge wire screen suppliers which can provide wholesale wedge wire screen products which are made from V shaped profile wire, with an unique welding process, offering great strength, precision, long service life and a wide range of applications in the field of process, engineering such as sugar juice filtration, waste water treatment, crude oil and natural gas production and vessel internals solving problems of solid / liquid and solid / gas separation, filtration of oils, greases, paints, food products, water, fuels, liquid cooling agents, chemicals. 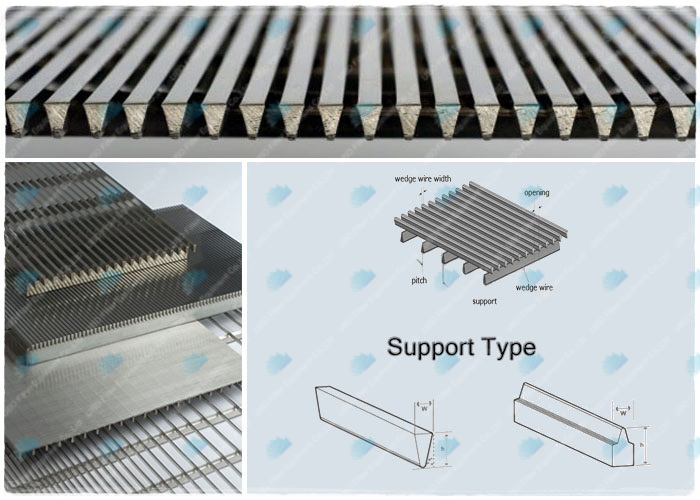 And wedge wire sieve screen offer a perfectly flat and smooth surface with rectangular openings. This kind of wedge wire screen can be used in a wide range of applications — including filtration, extraction, dehydration, fluidized bed, absorption, sorting and sifting, solid or water separation, cleaning, rinsing, drying, sizing, recycling and transport — in the processing of meat and poultry, sugar, fruits and vegetables, and beverages. How to clean the stainl..
How to improve the SS we..
Why use wedge wire scree..